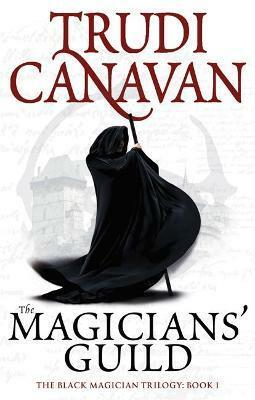 Each year the magicians of Imardin gather together to purge the city streets of vagrants, urchins and miscreants. Masters of the disciplines of magic, they know that no one can oppose them. But their protective shield is not as impenetrable as they believe. Sonea, angry, frustrated and outraged by the treatment of her family and friends, hurls a stone at the shield, putting all her rage behind it. To the amazement of all who bear witness, the stone passes unhindered through the barrier and renders a magician unconscious. The guild's worst fear has been realised . . . There is an untrained magician loose on the streets. She must be found before her uncontrolled powers unleash forces that will destroy both her, and the city that is her home.